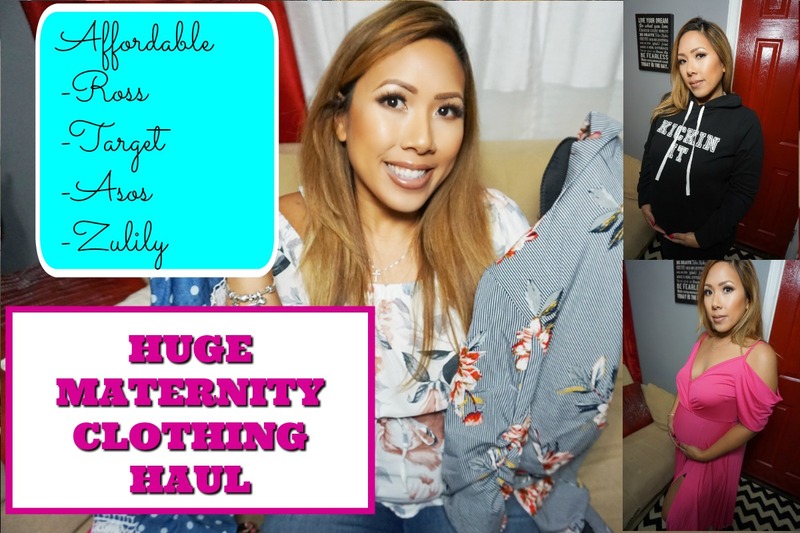 Yay for my first clothing haul - maternity edition. I've been window shopping for months trying to find the best and cutest deals in maternity clothes. I'm showing you what I've picked up in my second trimester - items that should grow with me and still be cute enough post partum. Check it out! A few items worth mentioning not pictured below. I totally recommend some maternity under garments to make your clothes fit and feel better. These Belevation Maternity Shapewear from Amazon are great under dresses to prevent thigh rub and to smooth everything out. Maternity Sleeping Bra - so comfy! Great for sore boobies. Nursing Bra - Has a clip so you can quickly breastfeed post partum. It's also seamless and with no underwear which makes it super comfy for pregnancy.